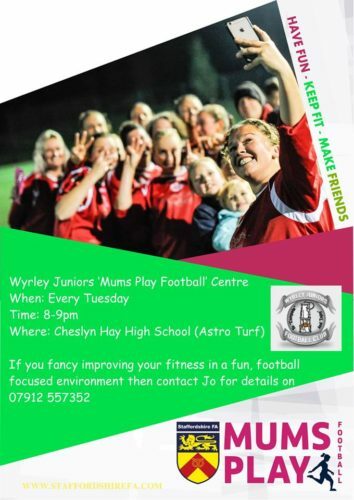 The Club is delighted that it now has 2 FA Mums Play Football Centres for girls and women aged 16 and over who want to gain some fitness, learn new skills, get back into the game AND have FUN at the same time. We have a Tuesday night one at Cheslyn Hay Leisure Centre and a Friday night one at Sneyd Community. Come on Ladies – get involved in the beautiful game! Full contact details on the flyers below.